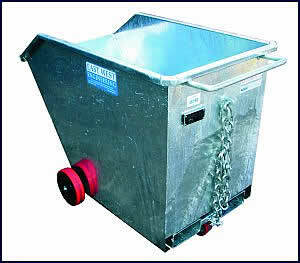 A light weight and cost effective bin suitable for goods transport, storage or waste. Manufactured from 2mm plate and is available in either painted or zinc finish. Fitted with a forklift carriage this bin is for manual push over. Wheels fitted standard, 2 front and 1 back.